Recently, 3D printing stalwart Stratasys spun off not one, but two companies. 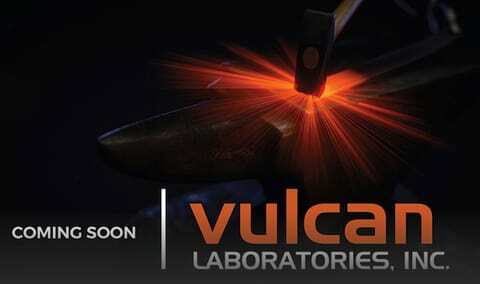 While we’ve already discussed Evolve Additive in a separate interview, engineering.com also reached out to the other spin-off, Vulcan Laboratories, which, unlike Evolve, is initially focused on metal additive manufacturing (AM). We were able to speak to Vulcan Labs CEO David Leigh about the company’s plans and its powder bed fusion (PBF) technology. Like Evolve, Vulcan Labs began as a part of Stratasys’ research and development innovation group. Some of the Vulcan team was brought into Stratasys through the 2014 acquisition of 3D-printing service bureau Harvest Technologies, which was bought alongside service bureau Solid Concepts. When Stratasys acquired Harvest Technologies, it wasn’t only taking on an established service bureau but also a team of experts. Leading that team was David Leigh, who has a long history in AM, beginning with DTM Corporation in 1990. DTM was founded with funding from BF Goodrich and intellectual property from the University of Texas at Austin, where student researchers, including Carl Deckard, invented selective laser sintering (SLS) and directed metal laser sintering (DMLS). Working for DTM, Leigh was on the ground floor of some of AM’s most exciting technology. Leigh explained that in 1995, before DTM was acquired by 3D Systems in 2001, he began his own service bureau with DTM technology. Through his own company and with DTM, he worked with Boeing and Naval Air Systems Command, among others, to qualify 3D-printed parts for aerospace applications. This included getting parts qualified for the F-18 and 787. In addition to work as a practitioner and developer of PBF technologies, Leigh also played an active role in the investment community. He and other angel investors successfully launched and sold Advanced Laser Materials, which developed a flame-retardant material for EOS, and 3DSIM, which recently was acquired by ANSYS for its advanced DMLS simulation software. Stratasys will maintain a stake in Vulcan Labs, and the two firms will continue to have a relationship so that, as Vulcan develops, it may make sense for Stratasys to buy Vulcan entirely or work to distribute its technology through its own distribution networks. So, what is that technology? Leigh explained that Vulcan Labs is still in the early days of its formation. Likening the firm’s development to a relay race, he said that much of the first leg was performed within Stratasys. It is now half way through the second leg, which is taking the know-how and technology and learning exactly how Vulcan Labs plans to commercialize it. Leigh elaborated on how the company could pursue these different technologies commercially. One avenue could involve a consultancy revenue model, in which the company could help customers develop parts for specific applications and get them certified for production. Closed-loop monitoring could be developed as a third-party offering for the development of new materials or applications, or it could be integrated into a 3D printer and sold that way. The ultimate decisions may be heavily influenced by who invests in or partners with Vulcan Labs. A software developer might aim to see the startup’s software focused on, whereas a materials business might see Vulcan go in a different direction. As the company evolves, more information will be available on the company website, where those interested in joint development opportunities can contact the firm as well.